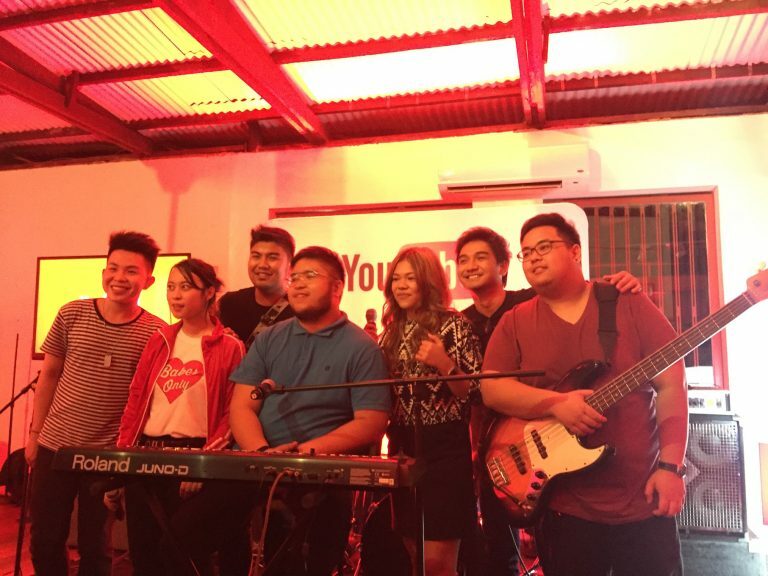 It was a very musical night as YouTube hosted its very first Jam Night last Friday, March 24, 2017 at Commune Cafe in Makati. 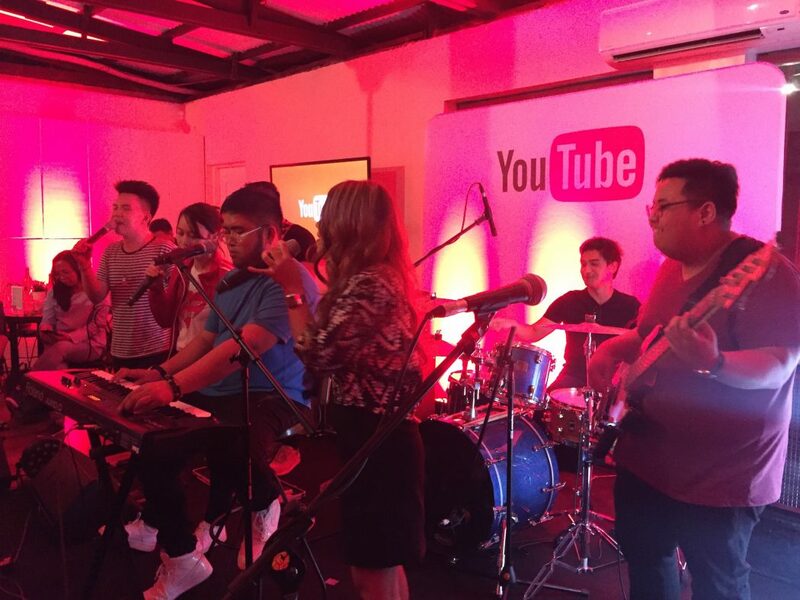 This is a way for them to Highlight those upcoming local youtube artists in the music industry. It was also their way of saying thanks to all of these artists who really dedicated their time and skills to take them where they are now. They featured 4 artists each with their own different genres and styles of singing, They made one heck of a show the audience didn’t expect. 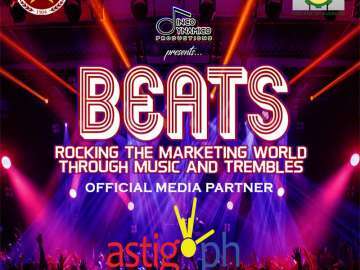 They started of with Agsunta, which is an independed Filipino band popular for its acoustic and soft melodic rock sound. 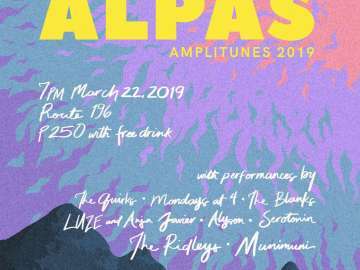 The band is spearheaded by Jireh Singson (vocals, rythm guitar/ keyboard), Mikel Arevalo (lead guitar, backing vocals), Josh Planas (bass guitar, backing vocals) and Stephen Arevalo (drums,percussion, keyboard, backing vocals). The band became popular in Youtube by doing a lot of song requests as well as jam sessions, which really captured a wide audience. The band started out as an amateur band performing songs at school fairs. Soon after, they decided to put up a video to showcase their talents. 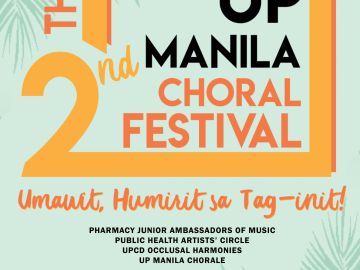 They also promote an advocacy that they will only perform OPM songs as to promote Filipino talent and also according to them, there aren’t a lot of youtube artists who are into it. 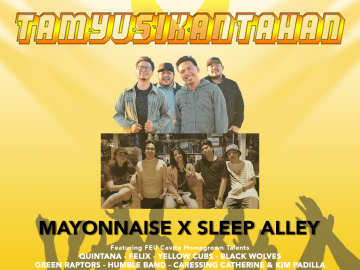 Their playlist consists of hits from the early 2000s such as Kahit Pa by Hale, Tensionado by Soapdish, Wag na Wag mong sasabihin by Kitchie nadal, and Tadhana by Up Dharma Down. You can tell from their performance that they are passionate on OPMs as they made their own renditions of these classic hits. They started out with 100 views per video but has now grown to 37,606 subscribers and 13,183,382 views across all of their videos as of this writing. Reneè is a singer-songwriter who serenaded people with her original songs and ukelele covers of popular songs from artists ranging from as old as the Beetles, up to as recent as the Weeknd. Besides Youtube, she was also a part of Star Music’s album called “OPM Fresh”. Unlike Agsunta who is mostly rock-pop, Reneè has a very low sweet void which I find unusual from a sweet young girl like her. She started her Youtube career 3 years ago, When she started her homeschool. Despite her parents being good singers, there was a time in her life that she completely forgotten her passion for music especially during her days at a regular highschool where she focuses more on sports. Stuck at home, she decided to wear her musical hat again. Reneè told us that the only plays the guitar before until one day, she saw her cute math teacher back in gradeschool playing the ukelele which made her interested in it. Today, she is better known at playing the ukelele than the guitar. She played a mix of original and cover songs like True by Spandau Ballet, her original song called Quiet, and I will by the Beatles which also happens to be her most viewed video on Youtube to date. She now has 35,570 subscribers and 3,765,317 total views across all of her videos as of this writing. If you’re looking for a more upbeat tune to your subscriber’s list, you might fancy Karl Zarate. 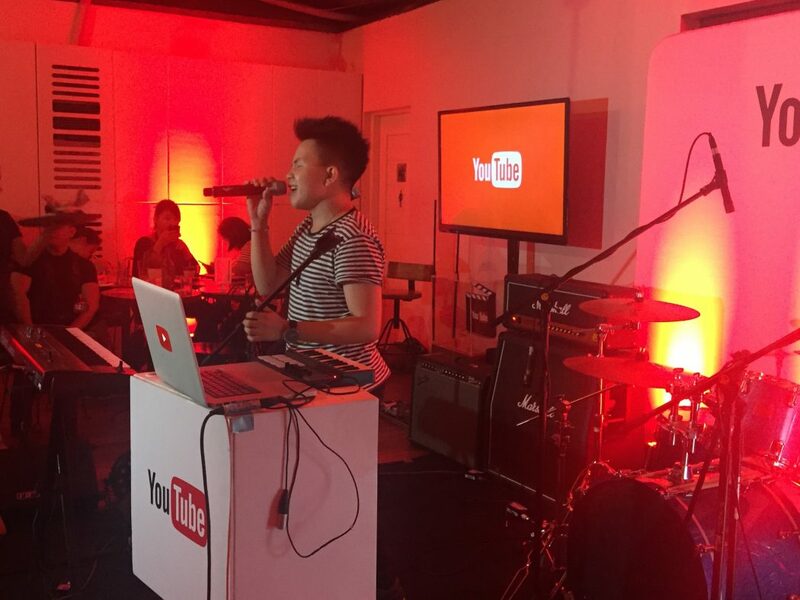 He is a Youtube artists who does cover versions of popular songs. This 22-year old singer is also into vlogs and song parodies. He was also a part of reality talent shows on TV such as RisingStars Philippines on TV5 and Just Duet on GMA 7. Unlike the former who uses traditional musical instruments, Karl uses pre-rendered songs from his laptop and synthesizers, an instrument usually used by EDM players. He has a very high voice which blew the audience away. He started his set with a more upbeat rendition of Fresh Eyes by Andy Grammer. He’s not just into EDM though, as he can also do ballad songs like Southborder’s Kahit Kailan. 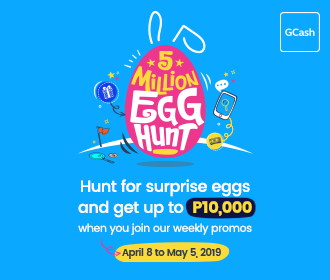 This song is his most viewed video on youtube, garnering of 500k views and was invited by Luke Mejares and Jimmy Bondoc to perform it with them. He ended his set with Versace on The Floor by Bruno Mars, another fantastic love songs. According to him, even though he’s a Youtube artist, he still find it weird to perform in front of a camera compared to live performance. He also said that with all of the success he’s having he still has his fair share of negative comments. Rather than allowing it to bring him down, he used all of these criticisms to strive further into his career which I think is doing pretty well. He has 16,178 subscribers and 5,292,564 total view across all of his videos as of this writing. 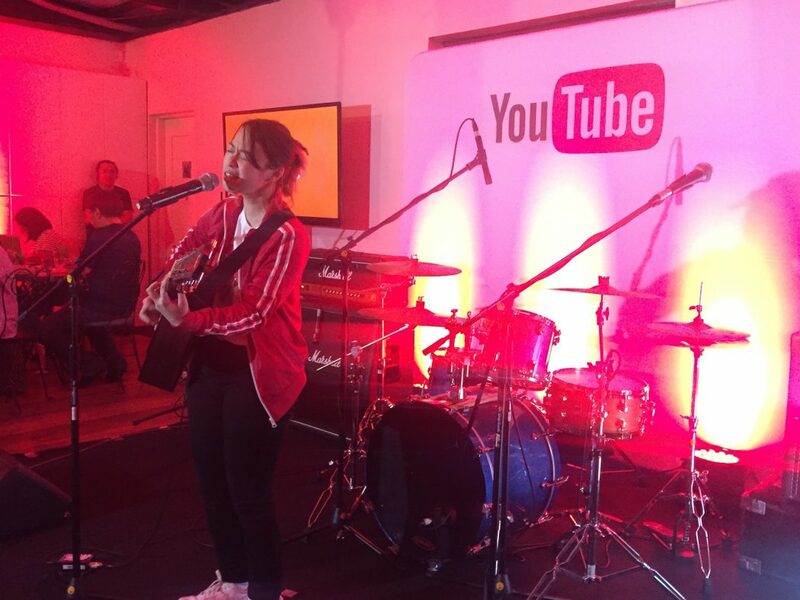 Youtube’s Jam Night came to a close with Reese Lansangan. She is a singer-songwriter, visual artist, graphic designer, fashion designer and published author. On her YouTube channel, she showcases her musical talent, and through her videos, you’ll see her work her magic for telling compelling stories through her songwriting. Like Reneè, Reese also has a low voice, but the latter is slightly husky voice similar to Kitchie Nadal and Up Dharma Down’s Armi Millare. She also knows how to rap as I’ve witnessed on some of the songs she sang, which I find interesting. 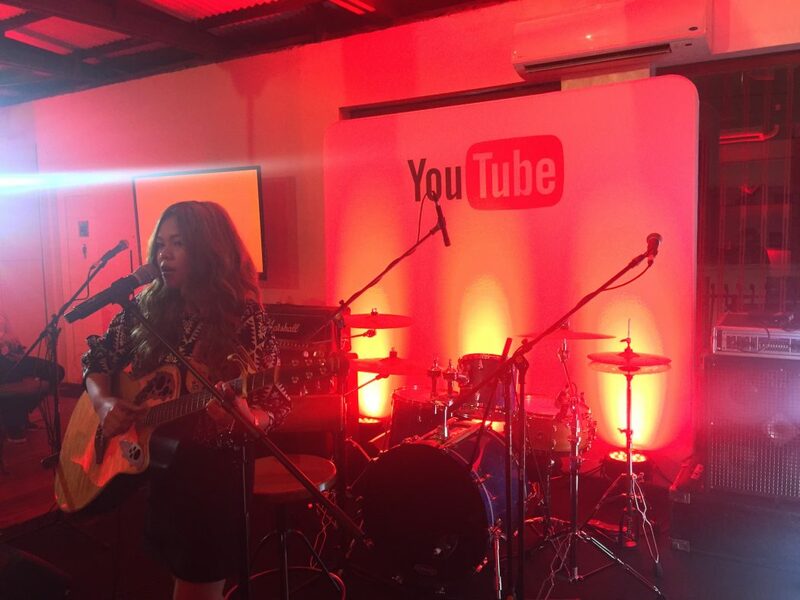 Reese mentioned that she performs mostly original songs, but does cover from time to time. She also told us that every song she wrote is talking about random specific topics, like her first song called Grammar Nazi, which is all about English. She also wrote a song called “Home” which was used as the wedding song for Vic Sotto and Pauleen Luna’s wedding. She wrapped everything up with cover from Up Dharma Down called Taya. According to Reese, she started doing Youtube because she wants a place where she can store all of her music which will also serve as a way to check how far she has gone in terms of her music career. She now has 17,070 subscribers and 1,110,442 views across all of her videos as of this writing. Just before the Jam Night came to a close, one of the audience asked if they can do a collaboration together which they happily agreed. They performed Eraserhead’s Ang Huling El Bimbo which is the perfect way to cap off the night. 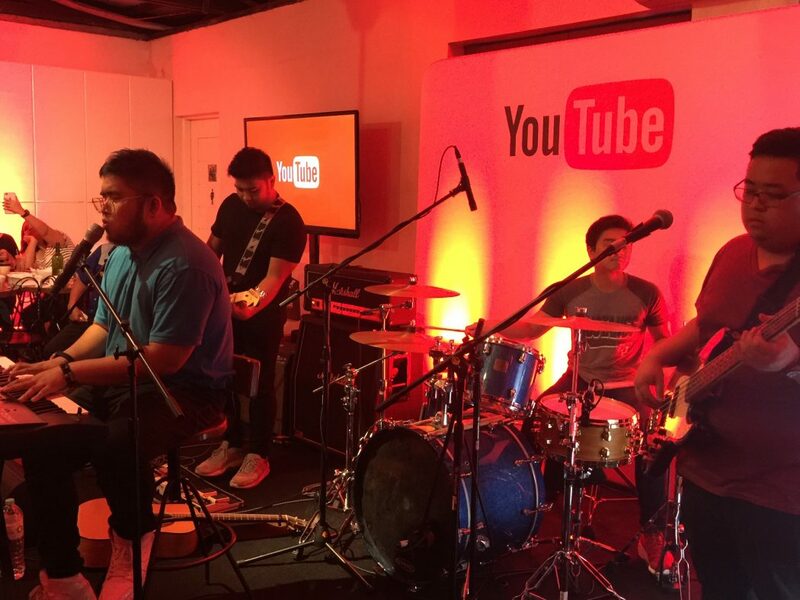 With viewership growing 50% year over year, coupled with these really great artists, YouTube is certainly headed into the right direction. 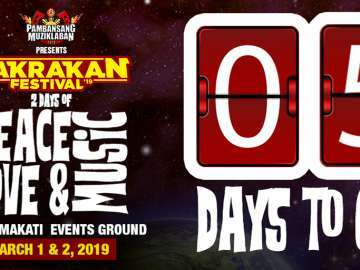 5 day left until RAKRAKAN FESTIVAL 2019!